The responsibility of running a business can sometimes be difficult for even the most experienced professionals. Taking on a partner can lighten the workload, lessen your financial burdens and improve the overall quality of your products, services and reputation. Finding a business partner may seem hard, but finding your rhythm with your business partner is much harder. If you're thinking about a partnership, consider the following list and avoid the potential pitfalls, brought to you by BizBoon-the best company for B2B consultancy services. Whenever you share your own capital, be it money, resources, information or property you automatically give away your enterprise ability. This is not the right approach; instead of sharing the capital one must work out an arrangement where expenses are shared in an associative arrangement. It also makes it easier to walk away if things go wrong. Having basic partnership or incorporation papers that outline each party's roles and obligations, as well as other agreements more specific to the type of business, is key to preventing problems down the road. This is an essential factor for all forms of partnerships whether it is local partnership or international business partnerships. Without serious discussions about the future of the business, partners may find themselves at odds with each other as challenges and opportunities present themselves down the road. Ultimately, this can gridlock a business if partners cannot agree on a plan of action to take the company forward. In any partnership agreement, define the terms of an exit strategy that allows you or your partner to walk away from the partnership. This can be done very clearly and simply and without imploding the operations of a successful business. How To Run A Successful Business In China? As an emerging market, China offers endless business opportunities for foreign entrepreneurs who want to discover new business opportunities to grow and sustain their businesses but Chinese business culture is unlike it is anywhere else in the world and to thrive in this market, foreign companies need to have an understanding of running business in China. If you are planning to run a business in China, here are some things to keep in mind, brought to you by BizBoon-one of the best small business networking sites. Many procedures that would be handled electronically in other countries require reams of paperwork which need to be filled in and stamped by hand. The time required to complete these efforts can be unexpectedly lengthy. To be successful in China, your company will need a full-time administrative team in place which can handle all of your company’s paperwork in China. Operating in a country with a history of thousands of years and ways of doing business that go back as far it is valuable to develop insight into China's business culture and social etiquette to avoid misunderstandings that could scuttle deals and harm working relationships, suggest the experts at BizBoon-the best way to connect and discover China’s B2B marketplace. If you have decided to design a new, simpler, and more direct way to get your products to the market, you should anticipate and evaluate economically all the possible risks. You must also have in place a strong strategy for B2B marketing in China. For your company to succeed in China it is important to spend time cultivating relationships with counterpart businesses, government agencies, and trade organizations. China B2B Marketplace is where you can find emerging businesses in China. The more you connect with Chinese businesses, the more you will discover new business opportunities. So, what are you waiting for? Log in to BizBoon.com today to connect and discover China’s B2B marketplace. There are genuine opportunities for foreign companies seeking to expand in the Chinese market; all you need to do is look into the right place like BizBoon to get them. The importance of marketing cannot be debated. No matter how great your product or service is, without any marketing efforts, your business is more likely to fall flat. One of the rising trends in today’s business world is outsourcing marketing. So, let’s have a look at some of the top reasons to outsource marketing, brought to you by BizBoon-the best social media platform to find partners for business process Offshoring. By outsourcing marketing, a company can save overhead, commitment, recruiting time, training time, and expenses of full-time staff, while allowing them to tap into experts without all the associated expenses. 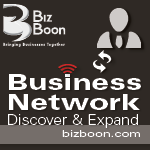 A good agency will be able to apply their specialist knowledge to your business – and will know how best to build in the newer methods right for your market, whether that is mobile advertising or targeted e-mail marketing, suggest the experts at BizBoon-the leading site for finding entrepreneurial opportunities. Employing a full-staffed in-house marketing team can be costly; from employees’ salaries, to healthcare, paid vacation time, and end of the year bonuses. An outsourced marketing team can reduce these overhead costs while ensuring a customized campaign geared towards clients’ goals. Having someone in your organization perform the essential functions of marketing, without the experience and expertise to make it work consumes a lot of time. Outsourcing your marketing saves you precious time, and allows key personnel to concentrate on other essential functions. By outsourcing your marketing, you now have the ability to quantify the results of marketing initiatives done by real marketing experts. Marketing is not a onetime process; it’s a continuous process that requires lots of follow up, and constant adjustments and refinements. So, visit BizBoon to find the best small business outsourcing service for your business marketing and find a way to lead your business on the path of success. 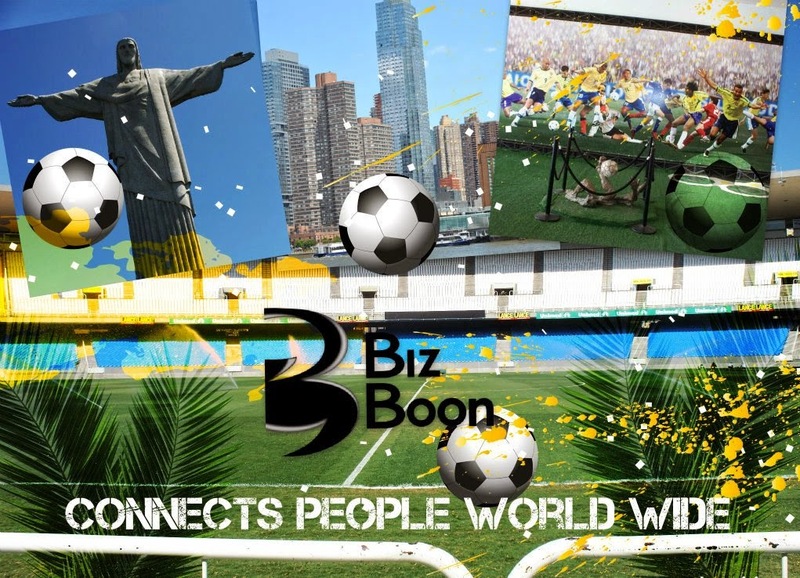 BizBoon.com is India’s number one business networking site that connects professional and businesses all over the world. A business's location can make an important difference to its success. When you do your business in the right location then your chances of finding good business opportunities increase many times. If you are an entrepreneur, with a dream to make it big in the competitive world of business, here are some important tips to find the right location, brought to you by BizBoon-the best website to build global b2b connections. Research the location you are planning to open up your business in before signing a lease or buying property. The more you research; the better will be your chances of finding an ideal location. Accessibility to the customers is your major concern when looking for the right business location. Find out if the majority of the human traffic in the area falls under your targeted consumer base. Find out whether you would be able to build a reliable business referral network. The amenities of the place should also be high-quality because you are dealing with customers that you wish to appreciate your business. The business location should also be in a place where the environment is clean and organized. Besides the base rent, consider all costs involved when choosing a location. Does it cover the cost of building maintenance, utilities and security? If the location is remote, you may also want to factor in the additional marketing costs it would take to enable customers to find you. Do keep in mind the competition in the area you hope to serve. Seeing where your competitors are located gives you a good gauge about the feasibility of doing business in the area. Should You Sign Business Partnership Agreement With A Close Friend Or Relative? Business partnerships have been an important part of entrepreneurship and startup success, but sometimes things don’t go as planned, as a result business partnerships end in a bad note. That’s why it is important to have a business partnership agreement in place even if you are entering into a partnership with your best friend or relative. Here are some of the top reasons to have a business partnership agreement, brought to you by BizBoon-the best way to build b2b network connections. A partnership agreement include the partnership's business name, the partners’ roles, authorities and responsibilities within the business, how much each contributed and their allocations of profits and losses. Partnership agreements also detail buy-out agreements or how companies plan to carry on or dissolve if partners withdraw or pass away. 1. States ownership clearly: Investment in a business is not always monetary, an investment can include providing the building or other real property for the business, as well as specialized equipment for the business. A partnership agreement spells out exactly who owns what percentage of a business, eliminating chances of dispute, assert the experts at BizBoon-the best way to find business partners. 2. Resolving disputes: While partnership may have been started by close friends, disagreements are natural in any relationship, and it can be helpful to determine how the partners will work out these disagreements as they arise. 3. Clarifies roles of each partner: A partnership agreement sets out roles, listing the duties and position of each partner to the arrangement. This helps reduce confusion and arguments among members about what each person should contribute. 4. Beneficial for business: A Partnership Agreement is a legally binding document and allows the partners to structure the relationship in a way that suits their particular business. Taking your business to the next level is an important decision which should be done with adequate planning, otherwise everything may fall flat. There are many steps you will have to encounter, like building B2B connections, Delegating business activities, incorporating more technology etc. If you are a business owner and planning to expand your business, here are certain important things you need to know. To expand, you will need a lot of new customers. However, you won’t be able to grow if your current customer base is unhappy. Make sure that you are giving them what they want and that you are satisfactorily meeting their expectations. Doing so will guarantee good feedback, repeat business, and ultimately, new referred customers. In a hurry to expand your business, you may skip some important details; that’s why it’s important to go slow. Make sure that you’re truly ready to expand your global business network before you dive in. Growing your business means more stuff to do. You need to focus on the things that matter, like the activities that generate income. To be able to do this, you should delegate daily business activities; you may even consider Business Process Offshoring as an option. Doing this will not just save you additional cost but will also save you a lot of hassles. The key to growth as you grow, is spend more and more time thinking about exactly what your core values are, and why you opened that first place and make sure that’s being infused in each of your new venture. Also, it’s important to build a strong business network to enhance the reputation of your company and establish as a brand. 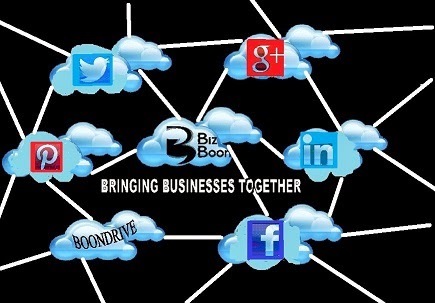 So, log in to BizBoon at-https://bizboon.com/ and find the most effective way to connect to the professionals and businesses world over. Cloud Storage is all the rage these days. It’s an affordable and great way of storing data. But, often people are concerned about the safety of their data when storing their data on cloud. It’s a fairly natural concern as you are entrusting your valuable data to a third party. Here’s an interesting article on cloud storage by BizBoon-the provider of cloud storage for small business networking groups. Whether you want to protect your documents from potential identity thieves, want your files locked down in case your laptop or phone is lost or stolen, or you're concerned about scandals, encrypting them is the only way to make sure you're the only one with access to them. Popular cloud storage providers like BizBoon encrypt files as they travel between your computer and the cloud servers. Data encryption is the act of changing electronic information into an unreadable state by using algorithms or ciphers. It is the most effective way to achieve data security. With online storage drives, data is encrypted both during transmission and while at rest, ensuring no unauthorized users can access the files. To read an encrypted file, you must have access to a secret key or password that enables you to decrypt it. Unencrypted data is called plain text; encrypted data is referred to as cipher text. In what other ways your data is safe with cloud storage? · Your data is safe from viruses: Imagine working on a document all day and having a virus attack your computer just before you complete your work. Your hard drive will be useless and all of your hard work would have been for nothing. Businesses that use the cloud as a backup can access information saved to it even if their own on site hardware fails. · Backup: Cloud storage serves as an added layer of data protection for your precious and irreplaceable files. Backups are kept in a secure location that is physically removed from the originals. No matter what your need, cloud storage through an online backup service provides a myriad of advantages. So, visit BizBoon at-https://bizboon.com/ and find the most secure way to store your data.